Apply to face every evening or as prescribed by your Certified SOS™ Skin Correction Specialist. Effective on all skin types. 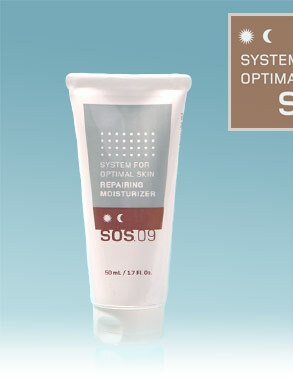 Providing maximum-strength, deep hydration and rejuvenation, SOS™ Repairing Moisturizer combines Glycolic, Lactic and Hyaluronic Acids with Marine Lipoic Antioxidant Complex™ to sooth and invigorate the skin. It also works in synergy with SOD Liposomes and Phospholipids to offer maximum cellular regeneration and repair . A clinically proven breakthrough in cellular replenishment and hydration, this powerful moisturizer produces a more youthful, radiant skin.